Beauvoir was developed by wealthy Mississippi planter-entrepreneur James Brown. 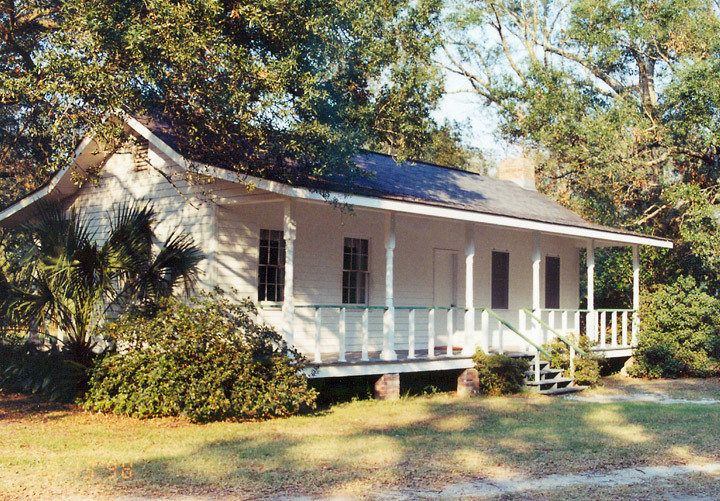 In 1848, Brown purchased land fronting the Mississippi Sound and began construction of the imposing, single-story raised cottage. 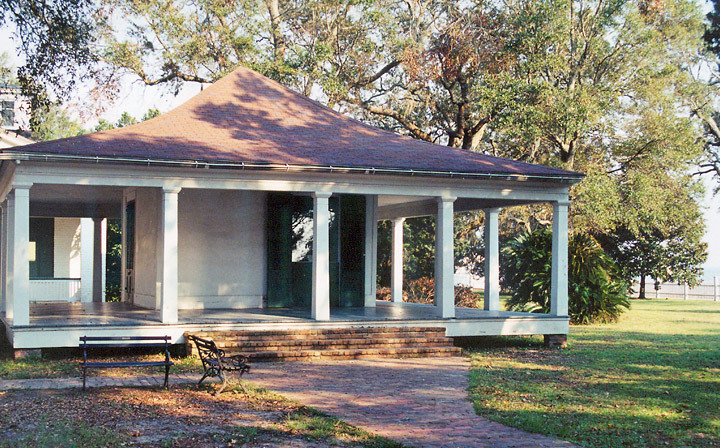 The house, completed by 1852, was the center of a complex which included two pavilions, kitchen, carpenter’s shop, foreman’s house, chicken coup, and barn/carriage house. 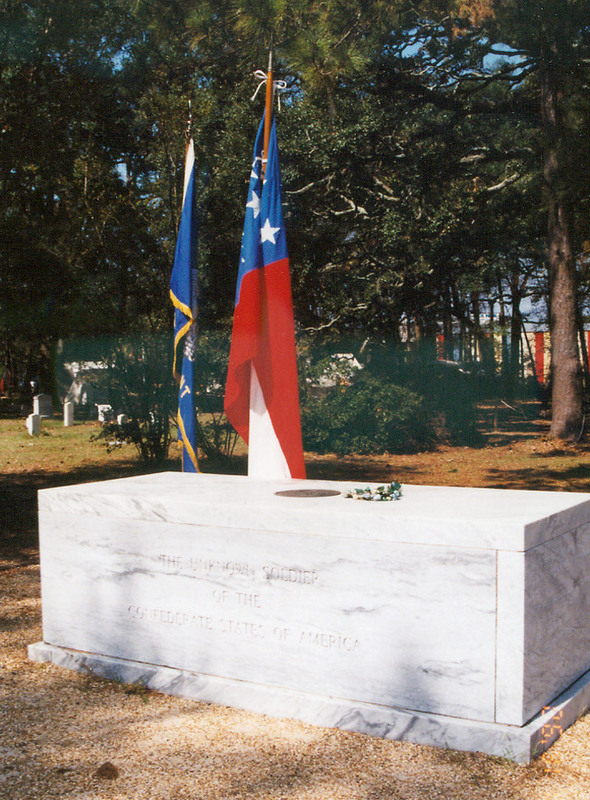 Beauvoir was located between the villages of Biloxi, 5 miles to the east, and Handsboro, 4.5 miles to the northwest, and was accessible from either by Pass Road, which ran north of Beauvoir. 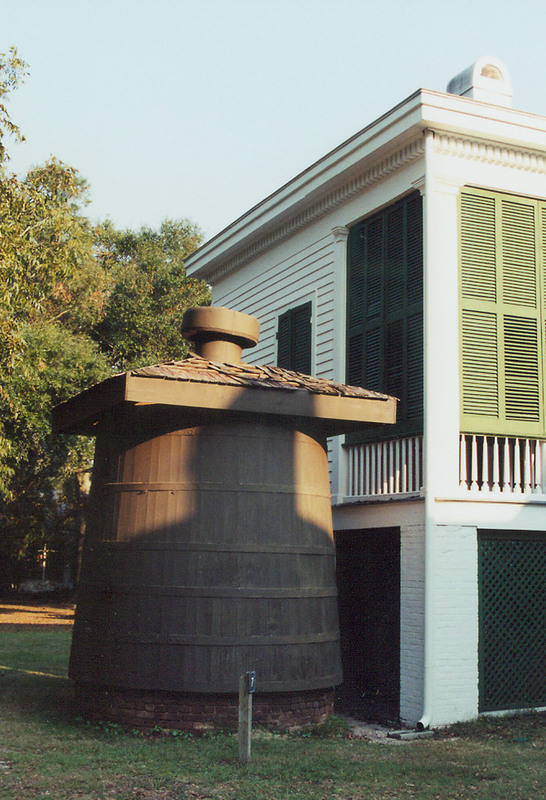 The Brown estate could also be reached by steamboat from both Mobile and New Orleans. The estate both gained and lost acreage through additional purchases and titles disputes. 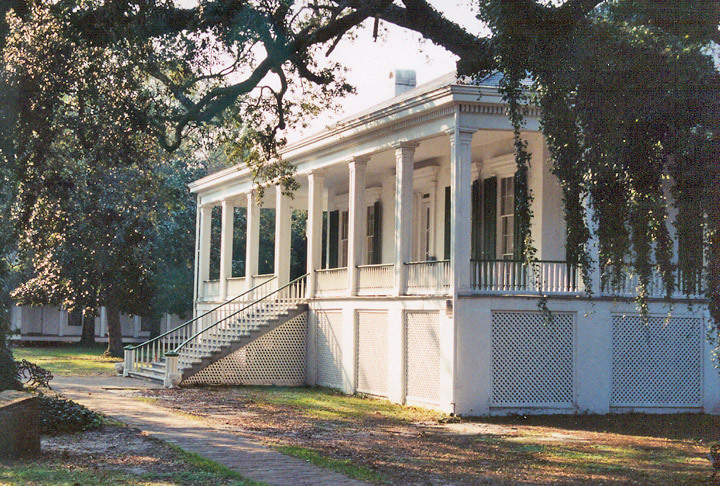 The Browns continued to occupy Beauvoir until forced to flee inland for safety with the onset of the Civil War. Continuing problems following the death of James Brown forced the sale of the property by court auction in 1873. Frank Johnston, the new owner, kept the estate less than two months before selling it to Sarah Dorsey. 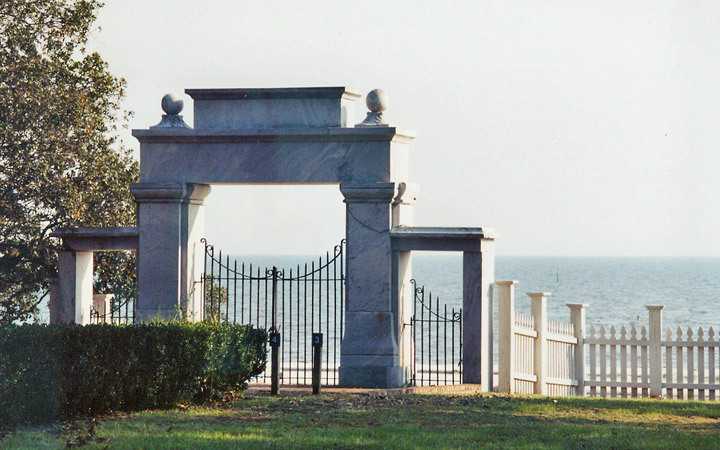 A wealthy intellectual, Dorsey named her new home Beauvoir (pronounced BOV-WAH) or “beautiful view” because of the vista it afforded of the Mississippi Sound. She also improved access to the site by arranging for the establishment of Beauvoir Station on the New Orleans and Mobile Railway, which had begun operation through the property in 1870. 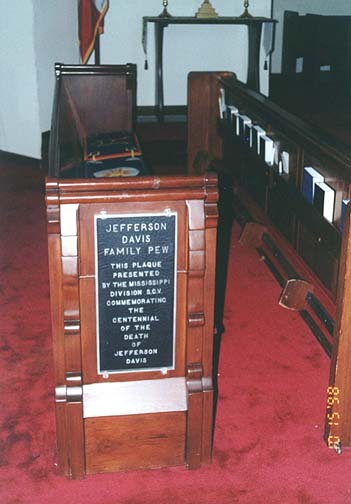 Jefferson Davis, former president of the Confederacy, visited Beauvoir twice during the mid 1870’s. Impressed by its natural beauty and serenity, the aging leader accepted Mrs. Dorsey’s invitation to write his memoirs at the estate and moved to Beauvoir by early 1877. 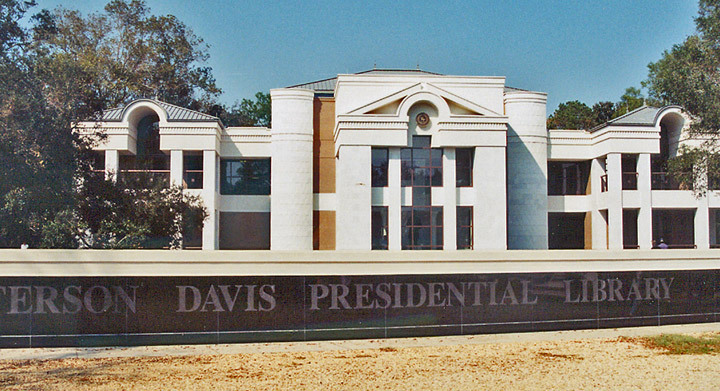 In addition to his literary pursuits, Davis also took great interest in the raising of citrus and grapes on the property. Varina Howell Davis joined her husband at Beauvoir in 1878, following her return from Europe and after a visit with elder daughter Margaret in Memphis. 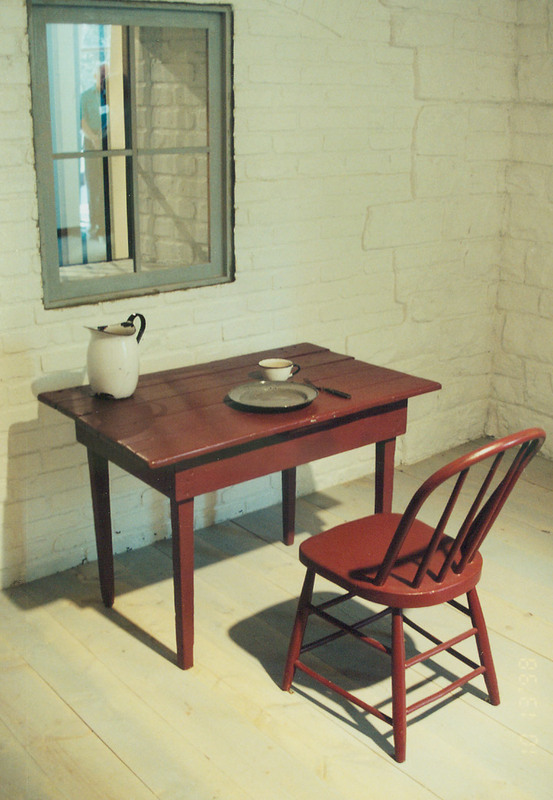 The following year, the couple purchased the estate, including some furnishings, for $5,500. 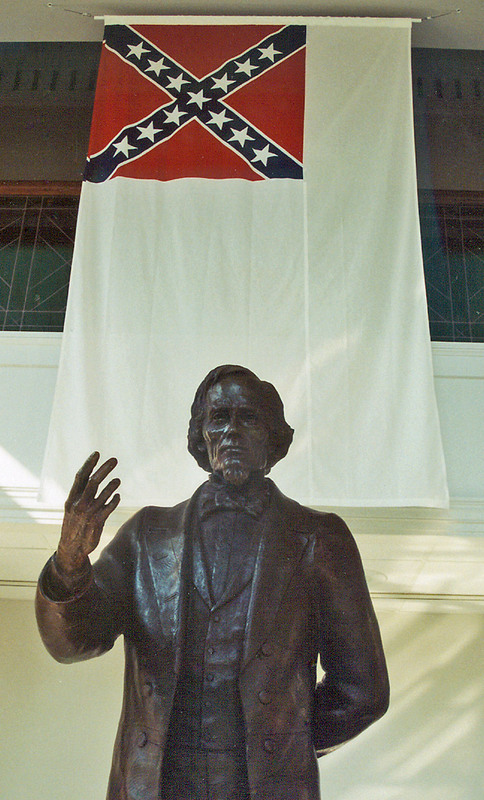 Jefferson Davis’ memoirs were published in 1881 as The Rise and Fall of the Confederate Government and were followed by A Short History of the Confederate States of America nine years later. Varina also wrote a biography of her famous husband which was published in 1890. 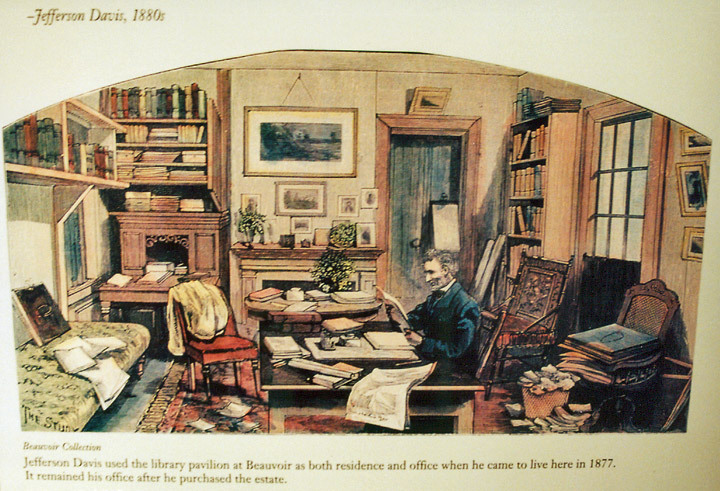 In the early 1890’s, after Jefferson’s death, Mrs. Davis and daughter Winnie, who had joined her parents at Beauvoir in 1881, moved to New York City Unable to properly maintain the estate with their meager income, the Davis women placed the property in the hands of a caretaker and accepted positions as writers for noted editor Joseph Pulitzer. 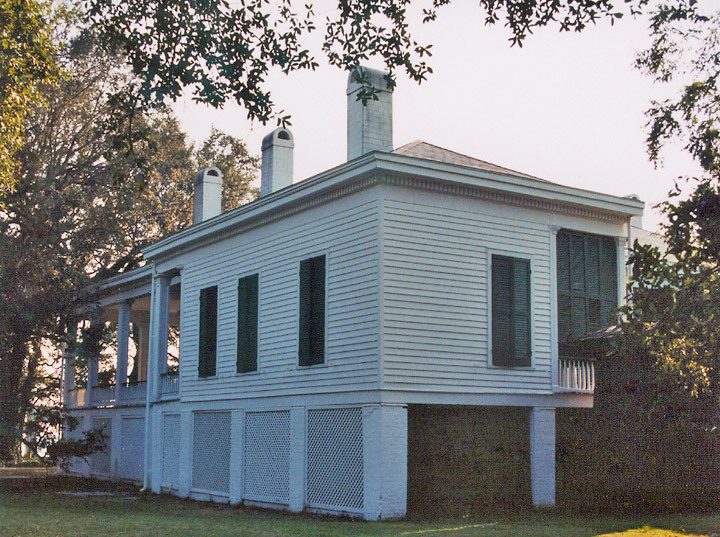 Despite hurricane damage and lucrative offers to purchase the estate, Beauvoir remained in the hands of the Davis family until 1902, when the central portion of the estate was sold for $10,000 to the Mississippi Division, United Sons of Confederate Veterans. The sale was arranged by family friend Mary Hunter Southworth Kimbrough, who, for a decade, had championed the cause of preserving Beauvoir. 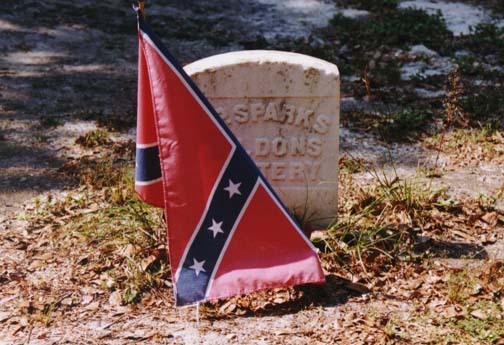 The terms of the sale required the USCV to maintain the site as a memorial to Jefferson Davis and the Confederacy and allowed the property to be used as home for Confederate veterans, along with their wive widows, servants, and orphans. The Jefferson Davis Soldiers Home opened at Beauvoir the same year. Initially a private effort, primary responsibility for th soldiers home operation soon passed to the State of Mississippi. The rapidly increasing population filled the original buildings to capacity, ultimately necessitating the construction of a dozen dormitories, two hospitals, a dining hail, an assembly hail, a chapel, and several support buildings. The soldiers home had a maximum capacity of 288 residents. During its 54 year existence, the faculty cared for approximately 1800 individuals. 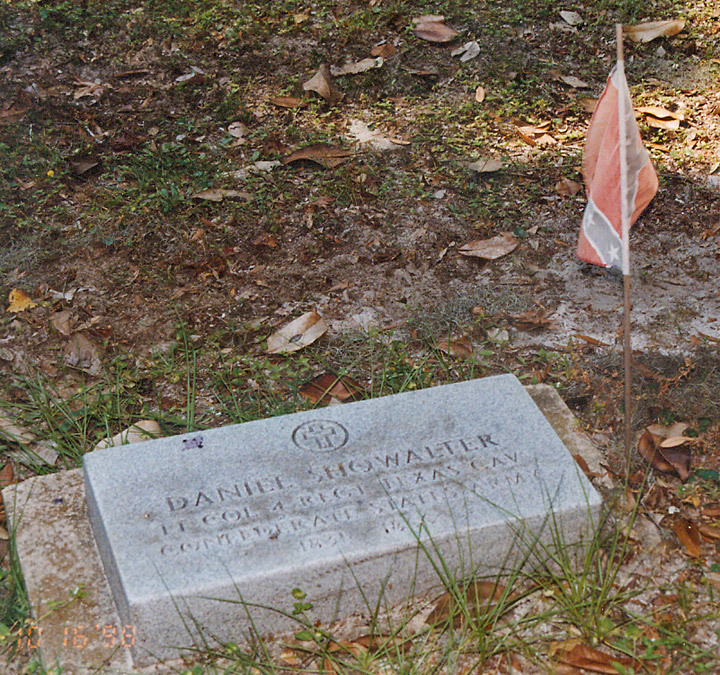 Almost half of those residents are buried in the Confederate Cemetery on the property. In 1940, with the number of residents dwindling rapidly, the soldiers home operation was reduced in size and concentrated in the southeastern portion ol the property. State support for the care facility was withdrawn in 1956, and the home closed the following year. The reduction of the soldiers home operation made possible the establishment of a museum at Beauvoir. In 1941, after two years of restoration, the main house opened to the public. Restoration of the structures and grounds continued with major efforts in 1953-54 and in 1978-79. 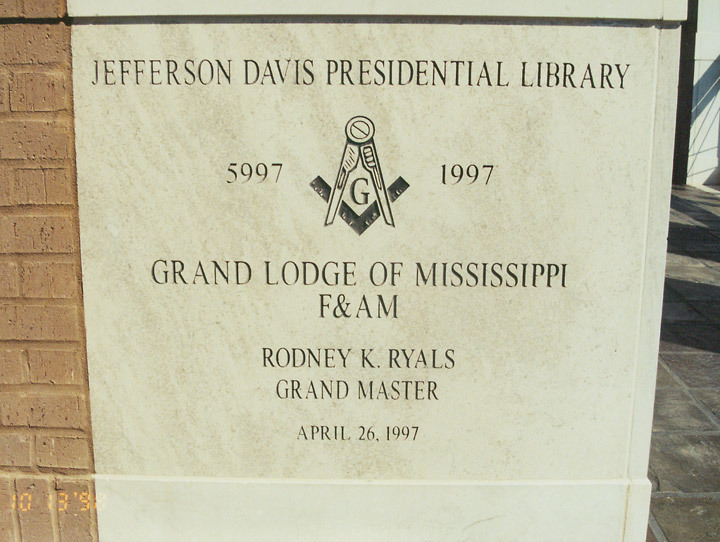 The Jefferson Davis Presidential Library opened in 1998. 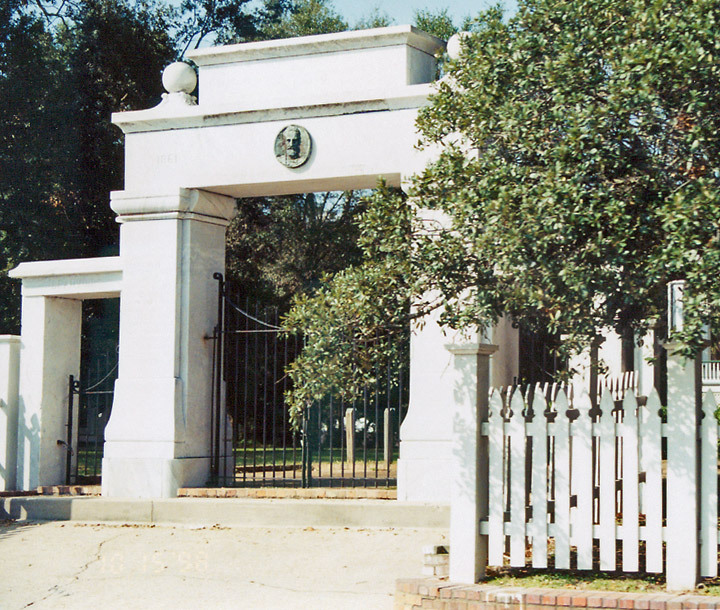 Today the historic site encompasses 51 acres of the original Beauvoir estate.